Feeding puppy Rottweiler requires a responsible approach, as the stomach of the little dogs are sensitive, reacts violently with wrong food. Often the owners of the baby from the first days of his arrival in the house trying to give him more food to be healthy and well-fed. This leads to stomach problems and claims to the breeder that the dog is sick or has a weak gut. To avoid this, perform certain requirements for feeding small Rottweiler. In the first days of the appearance of a puppy in the house feed him according to a strict diet about five times a day give him a pre-cooked dish of rice porridge and lean beef. Boil a liter of water, throw a Cup of rice and cook for forty minutes on a slow fire to croup is well seethe. Add slices of raw beef to a pulp. 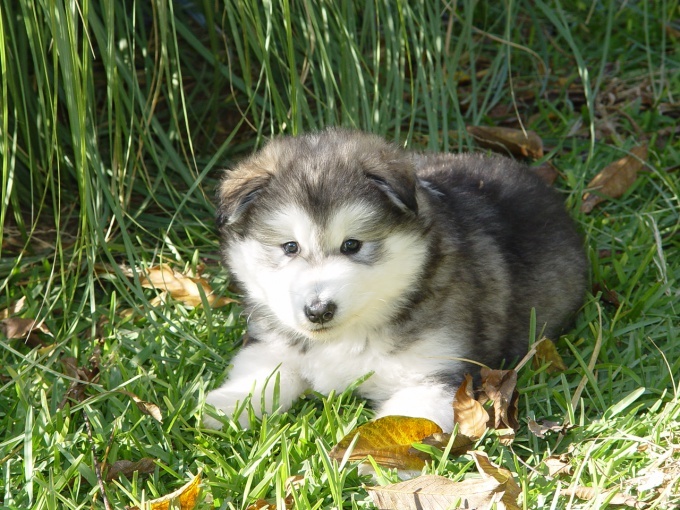 Healthy and hungry puppy will quickly eat his portion, if he refuses food – so doesn't want to eat or capricious in food. In the latter case, one should not indulge him and offer treats. Remove the bowl and offer it again within the hour. Gradually in the diet, you can add other foods – fish, vegetable soups, porridge, cheese, yogurt. Let your puppy vitamin and mineral supplements for good growth and development. Be careful when introducing new foods on the menu dogs, proceed gradually. If you notice the slightest disorder of the intestine, turn it on the above-described rice diet until he completely recovers. Make sure that the food was fresh, not cold and not hot. 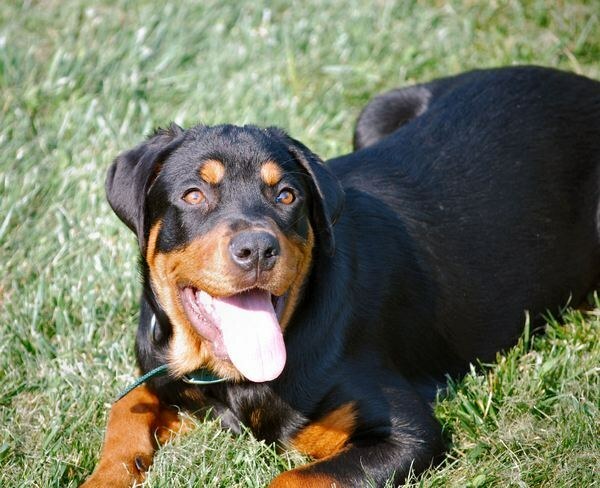 If the puppy Rottweiler leaves of the food in the bowl, reduce the portion, if long licking the bowl – increase. Follow a strict schedule for feeding dogs. 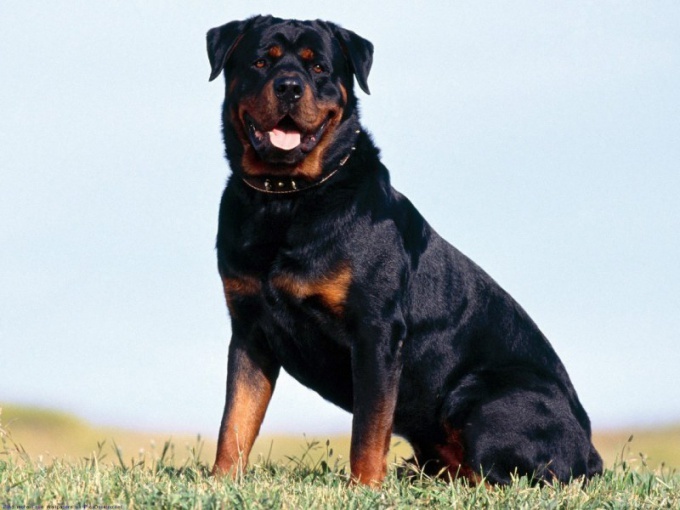 With eight weeks ' of age little Rottweiler can be transferred to food balanced dry food that contain all the necessary vitamins, minerals and other substances. At the same time feed your puppy at least – three times a day. At one year of age you can go to two meals a day. In any case do not let your puppy bones, pork, sausage, sausages, peas, raw fish, fresh bread, turnips. If the dog is fed properly, it can be seen in her appearance – she is playful, active, full of enthusiasm, hair, skin and teeth are in good condition. 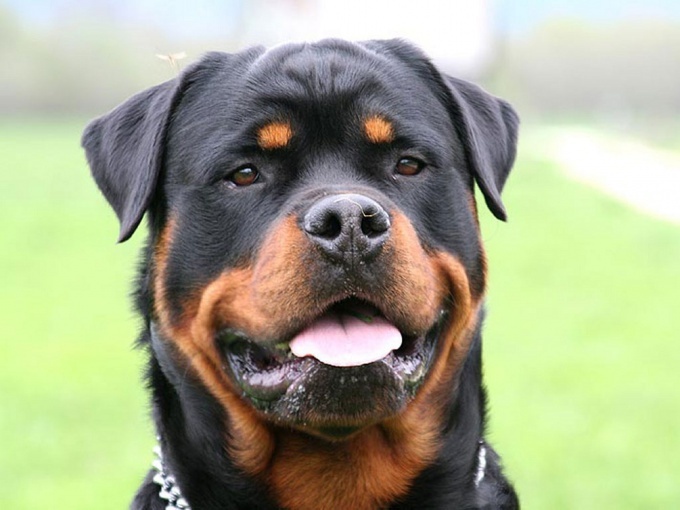 Puppies Rottweiler tolerate prolonged abstinence in food. Do not give your pet treats until feeding time.